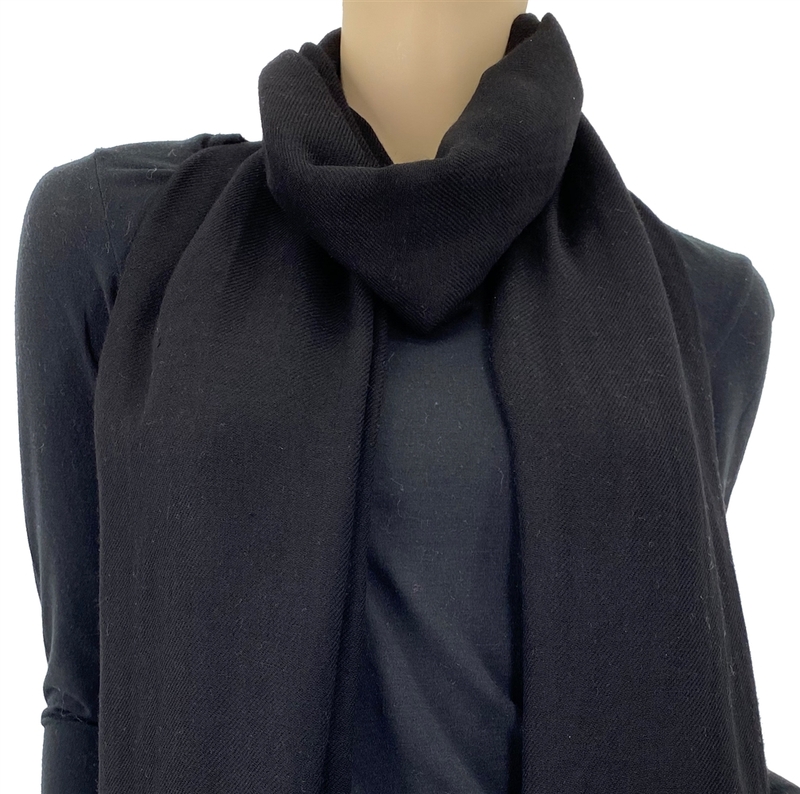 We made a special acquisition of a small number of these sheer Black "Ring" pashminas. 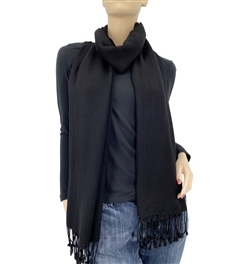 They feel incredible because of the unique weave and the use of very fine pashmina wool hairs. This pashmina is a very thin and light 2-ply. Average Customer Review: 5 of 5 Total Reviews: 12 Click here to write a review. my friend just called me and said she loves here new pashmina!!! it was exactly what she was looking for. not too heavy and not too light - i'll call her goldilocks!!! The quality is nice and the color is a deep, rich black.